eTail West 2019 is only a couple weeks away, and we’re excited to meet with America’s most successful retailers at this leading e-commerce and cross-channel conference. 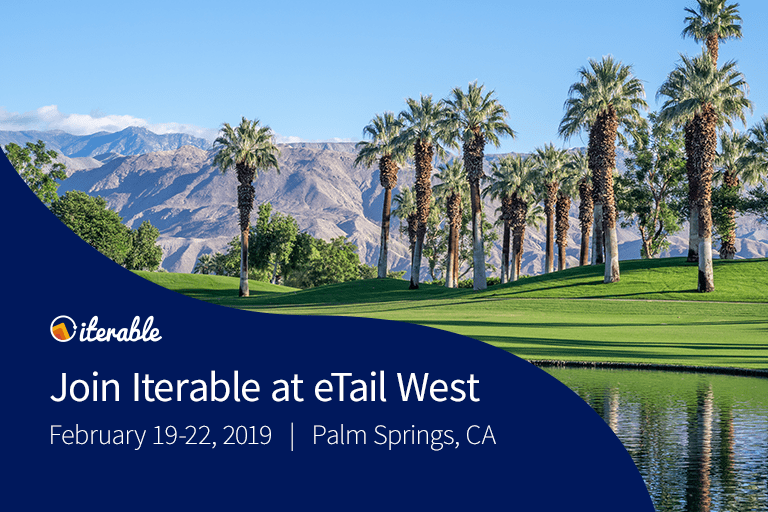 Taking place in Palm Springs on Feb. 19-22, eTail West will bring together over 1,200 attendees and 100 speakers from 500 companies—including Fossil, PetSmart, The North Face, Dollar Shave Club, and more. Iterable will be hosting two sessions at the event, the first of which is a presentation with David Oh, Chief Product Officer at FabFitFun—a top lifestyle brand that recently raised $80M to expand its subscription box business for over 1M subscribers. Meet David and our team at 4:45-5:00 p.m. on Wednesday, Feb. 20, in the Future of CX track. In his presentation, “Creating a Narrative for Building Customer Loyalty,” David will share the secret to crafting a successful narrative and keeping customers coming back for more—much like their favorite TV shows. Before heading to David’s session, you can also join Iterable for an exclusive craft beer tasting. On Wednesday, Feb. 20, at 4:20-5:30 p.m., we’ll drop some knowledge on how beer is brewed and what distinguishes it from other native spirits—all while experiencing the great flavors of our favorite craft brews. Whether you’re a beer connoisseur or new to the scene, our tasting is sure to add a hop in your step! “5 Retention Tips and Tricks From Subscription Models” (Tuesday, Feb. 19, 8:25-8:55 a.m.): This keynote panel features Jordan Narducci, Head of E-Commerce & Consumer Insights, SnackNation; Chika Okoro, Head of Marketing, Customer Insights at FabFitFun; Alvaro De La Rocha, VP, Marketing, at Bespoke Post; Dan King, SVP, Marketing & Growth, at Ritual; and Elaine Chen Chiang, Director, Growth Marketing, at MeUndies. They’ll discuss how to retain members and build box communities. “Keep Your Customer Coming Back for More: Enhancing the Relationship With Your Brand” (Tuesday, Feb. 19, 1:45-2:15 p.m.): This panel features Brian Border, VP, CRM, at Shutterfly; Phil Irvine, Director, CRM, at The Bouqs Company; and Scott Gifis, President of AdRoll. 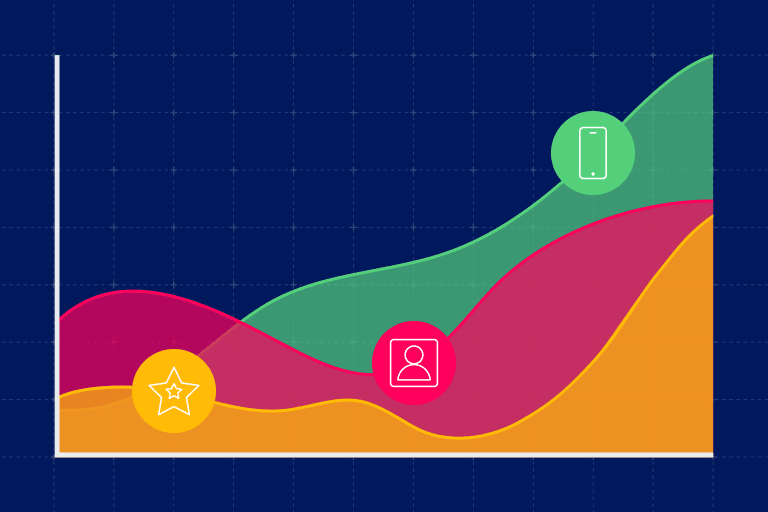 They will give their best tips to enhance the customer and buyer relationship, including how to test and measure the effectiveness of your retention program. “Unlocking the Future of Customer Engagement (Wednesday, Feb. 20, 8:40-9:05 a.m.): In this keynote, Greg Revelle, CMO at Kohl’s, will share an inside look at how Kohl’s is using personalization to deliver on its purpose to inspire and empower families to lead fulfilled lives. He’ll discuss how to build an agile marketing organization, develop a seamless cross-channel experience, use data-driven insights to deliver to adapt to customer behavior, and more. “How to Win During This Retail Renaissance Era” (Wednesday, Feb. 20, 2:40-3:00 p.m.): Featuring Chad Cornstubble, VP, E-Commerce, at Fossil Group; Todd Skidmore, Sr. Manager, E-Commerce, at Coca-Cola; and Peyman Zamani, CEO of Logicbroker, this talk will share user case studies to show how to win by focusing on your core competencies and partnering up with experts on the rest. “Staying Flexible and Agile to Innovate Faster” (Thursday, Feb. 21, 9:10-9:30 a.m.): This keynote fireside chat between Igor Cherny, VP, Online, Marketing & Merchandising Technology, at The Home Depot, and Matt Boyle, Senior Reporter at Bloomberg News, will showcase how to stay relevant in the age of digital disruption. They’ll dive into the importance of stakeholder collaboration and a team-mindset. “Overhauling Your Loyalty Program for Today’s Digital Customer” (Thursday, Feb. 21, 4:15-4:40 p.m.): This panel features Alicia Radabaugh, Director, E-Commerce, at MVMT Watches; Joshua Margolis, VP, Customer Journey, at Caesars Entertainment; Kate Jung, Director, Loyalty, Mobile and Partnership, at EXPRESS; Don Pillsbury, Head of Retention at Rothy’s; and Nick Dujnic, VP, Marketing, at LiveIntent. They’ll share how to go beyond discounts to make loyalty fun and drive customers to buy. 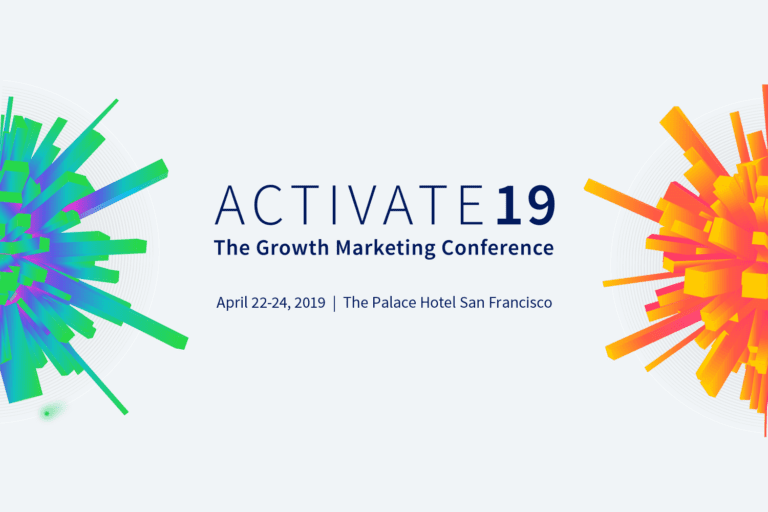 Come meet the Iterable team at booth #300 to grab some swag, win prizes from our customers and learn more about our growth marketing platform. If you’re attending eTail West, then we’d love to learn more about your business goals and share our best practices for delivering exceptional customer experiences across all channels, so sign up to meet us at the event and participate in all the action!